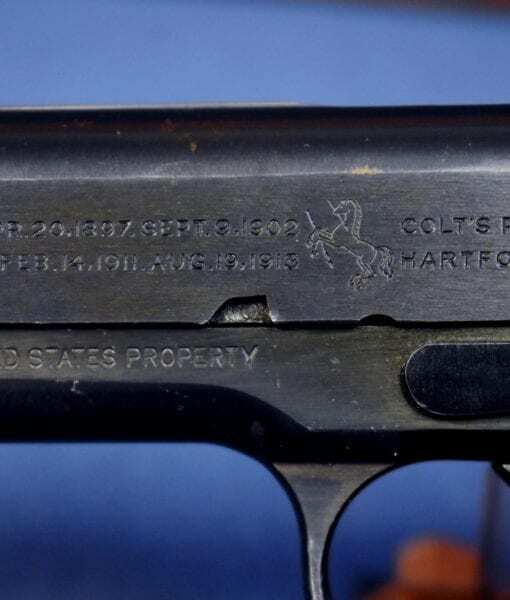 SOLD US WW1 COLT 1911 US ARMY PISTOL….. “BLACK ARMY”….. SEPT 1918 MINT SHARP PISTOL…..REAL EYE POPPER! 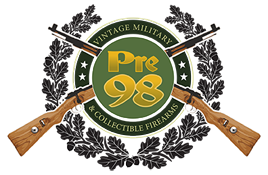 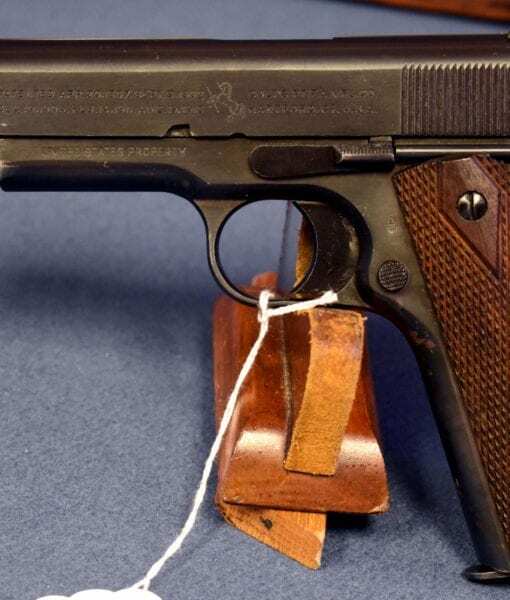 IN 98% REALLY SHARP, VERY HARD TO FIND CONDITION LIKE YOU JUST NEVER SEE, WE HAVE A WONDERFUL EXAMPLE OF A SEPTEMBER, 1918 SHIPPED “BLACK ARMY” COLT 1911 US ARMY SERVICE PISTOL. 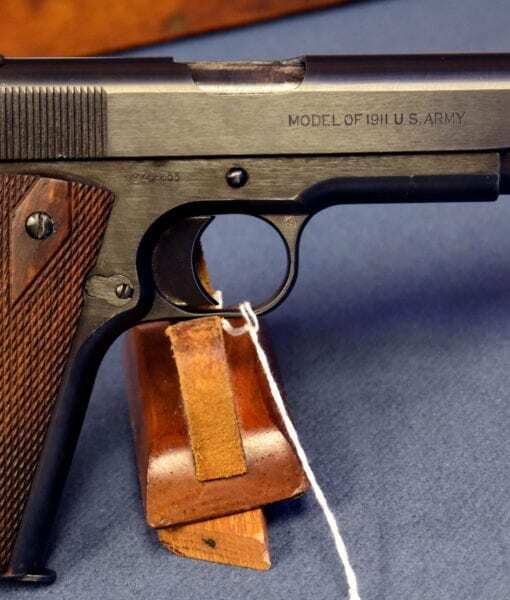 THIS PISTOL IS 100% CORRECT EXACTLY AS IT LEFT COLTS. 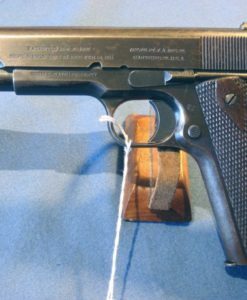 THIS PISTOL WAS SHIPPED OUT IN SEPTEMBER, 1918 TO THE ORDNANCE DEPOT AT BUSH TERMINAL FOR IMMEDIATE RUSH SHIPMENT TO FRANCE. 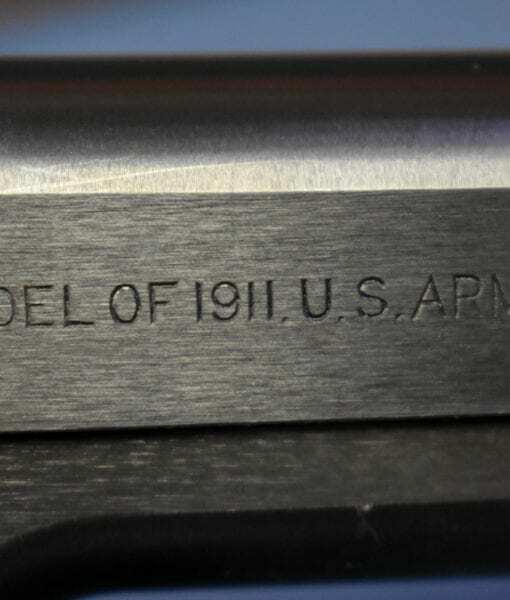 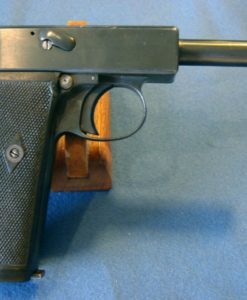 THESE LATER 1918 PRODUCTION PISTOLS WERE FINISHED IN A BLACK OXIDE FINISH WHICH WAS A MORE EXPEDIENT PROCESS THAN THE EARLIER BRUSHED BLUE FINISH. 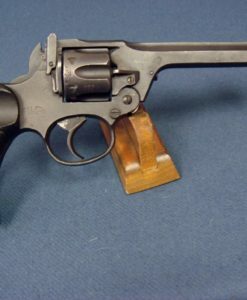 THEY ARE KNOWN TO COLLECTORS AS “BLACK ARMYS” DUE OT THE DULLER DARKER LOOK. 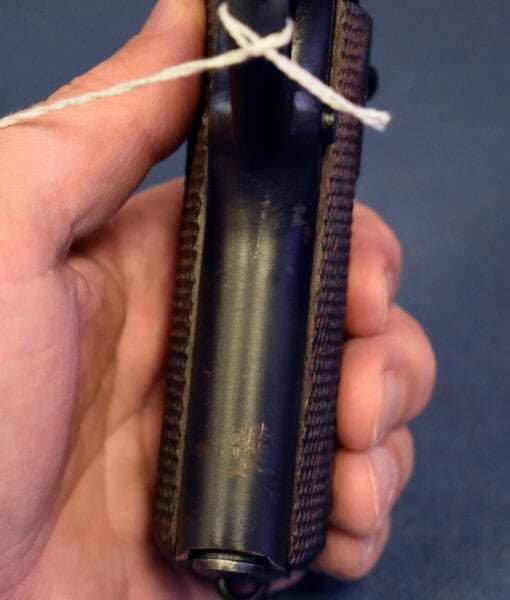 OVER TIME THIS BLACK OXIDE FINISH WAS NOT VERY DURABLE AND RAPIDLY TURNED BROWN OR FLAKED OFF ALTOGETHER. 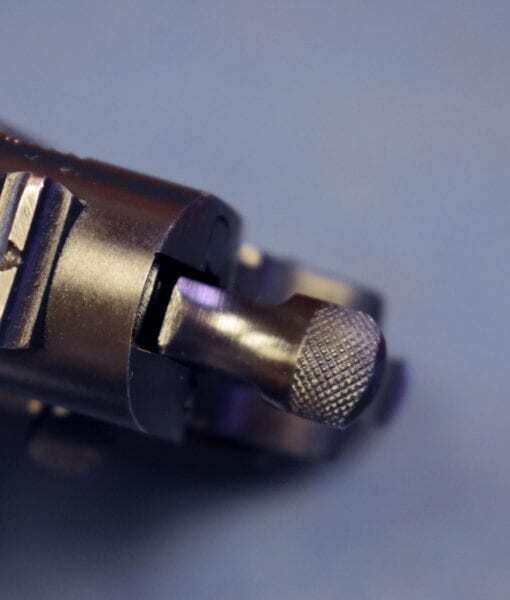 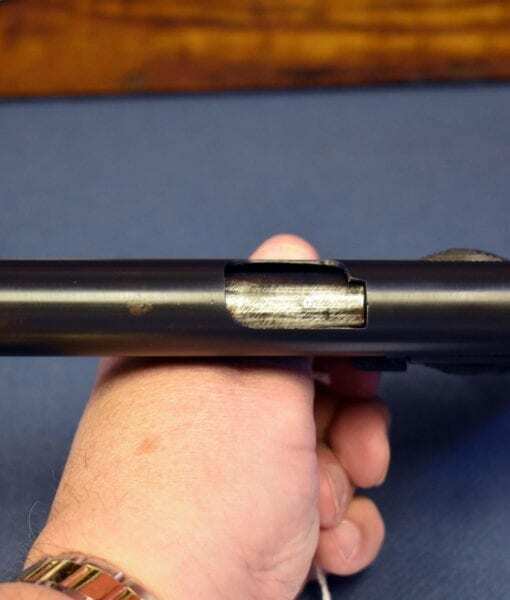 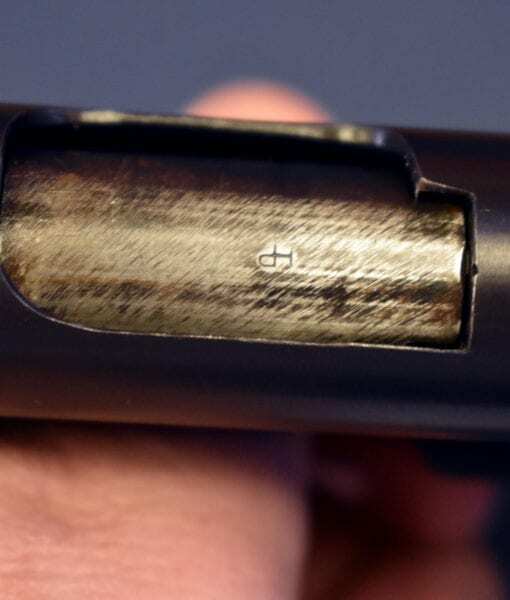 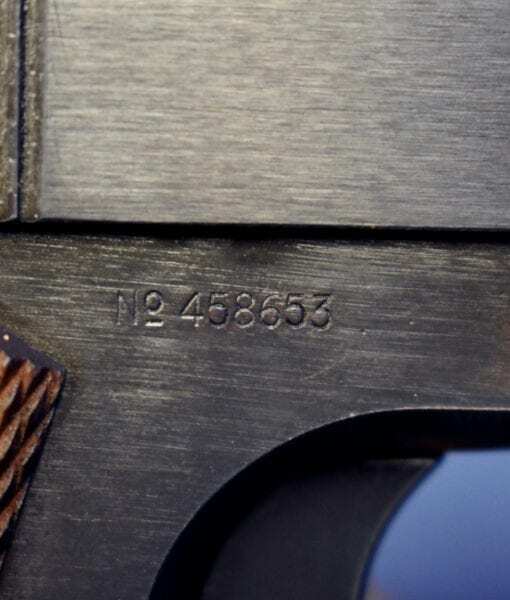 THIS PISTOL IS A TOP EXAMPLE AS IT SHOWS ONLY A SMALL AMOUNT OF THIS AGING. 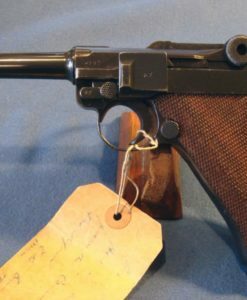 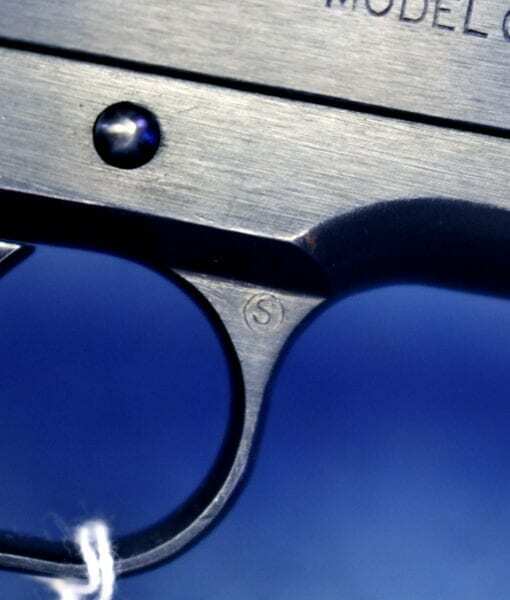 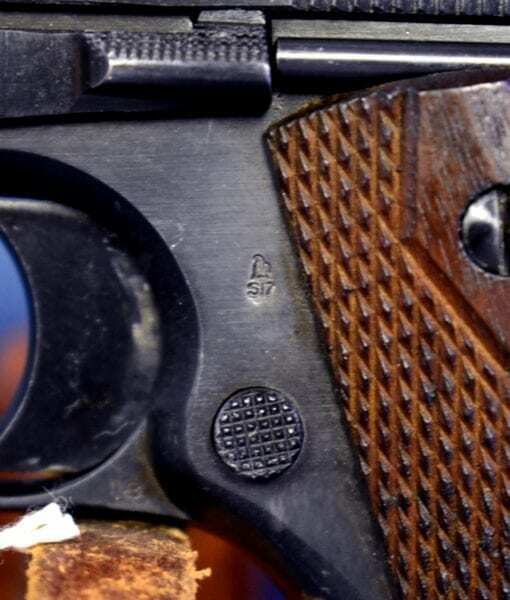 COLLECTORS HAVE ALWAYS BEEN CHALLENGED IN FINDING A DECENT EXAMPLE OF THIS PISTOL, ITS MUCH EASIER TO FIND A BRUSHED BLUE GUN IN TOP CONDITION. 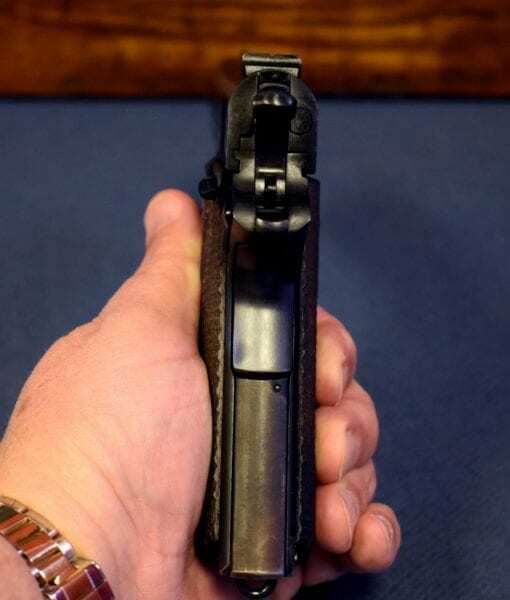 THIS IS A TOP EXAMPLE OF THE BLACK ARMY COLT AND THEY JUST DON’T COME UP FOR SALE THIS NICE VERY OFTEN.